This article was originally published on npENGAGE. Jumping off from my article last week on cross-sector partnerships for the Sustainable Development Goals (SDGs), this week I’d like to talk about how business is evolving in its response. The day after the Partnership Exchange, I attended the SDG Business Forum, which was co-hosted by the International Chamber of Commerce (ICC), the UN Department of Economic and Social Affairs (UN-DESA), and the UN Global Compact in collaboration with the Global Business Alliance (GBA). The SDG Business Forum was an opportunity to convene with leaders from business, government, UN agencies, key international organizations, and civil society groups to unpack the role that business will play in delivering the 2030 Agenda. It was reassuring to hear the discussion again on data, partnerships, and collaboration - and the imperative to maintain a consistent emphasis on these trends moving forward. My most important take-away from this forum, however, was the recognition that businesses are re-framing their core strategies to innately work towards specific SDGs. During the Business for Agenda 2030 session, each company representative took a goal and articulated how their business strategy was helping to achieve that goal. They did this by walking through examples from the field, implementation methods, and learnings, as well as the potential for their work to simultaneously address other goals. It was great to see how many other SDGs each company was working towards in addition to the example they were providing, and that they realized how they can maximize their impact and benefit to address multiple goals. Another strong and positive force in the evolution of businesses addressing the SDGs is coming from the market. New business frameworks encompassing the SDGS are not just emerging from internal efforts, but also from the voices of companies’ external counterparts, customers and the general public. A few prominent anecdotes from this session highlighted the increasing tendency of clients requesting that their investments support the SDGs. 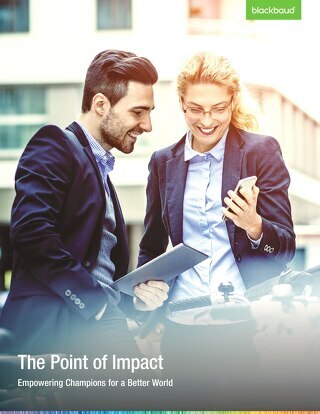 So not only are businesses thinking how to re-frame their work to address the SDGs, but the very mechanism that moves their work forward is pushing for impact-focused investment portfolios and sound business practices that are specific to the SDGs. How do we want to contribute to building a more stable world? How do we encourage people to participate in furthering the SDGs? How do we create scale? How do we create repeatable, strategic, profitable projects? How do we acknowledge children’s rights into business? How can we create more concrete investments? 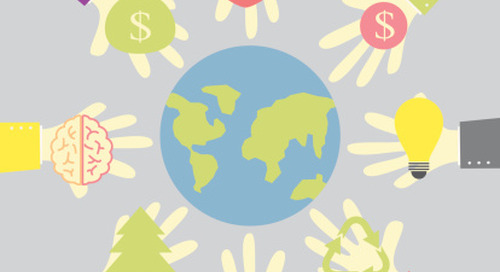 What type of capital can our company contribute to the SDGs? Are we investing through Financial capital, through our Human capital, through our Technological capital or some other type of capital? How do we engage on the local level? How can we create investments as asset strings that are tied to SDGs? I’d love to hear more about how your company is incorporating the SDGs into its business strategies and investments. Annie Rhodes serves as the Director, Foundation Strategy in the MicroEdge division of Blackbaud. In this role, Annie helps philanthropic organizations leverage technology to optimize how they manage their giving and improve collaboration with funding partners and grant recipients. Annie is also aiding customers evolve from simple grantmaking programs to results-focused giving programs that establish and measure outcomes and drive toward impact. As part of this, Annie led the development of Blackbaud Outcomes™, a technology solution that helps funders and nonprofits track and measure the results of their giving programs. Annie is also currently leading efforts to map Blackbaud Outcomes to the U.N. Sustainable Development Goals (SDGs) to provide funders with the opportunity to measure how their grants are contributing toward the broader efforts to achieve the SDGs. 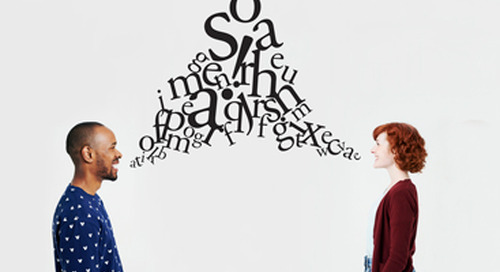 Foundations and Nonprofits: What Does it Mean to “Speak the Same Language”? Like most big ideas, this one is both ahead of the times and behind them. 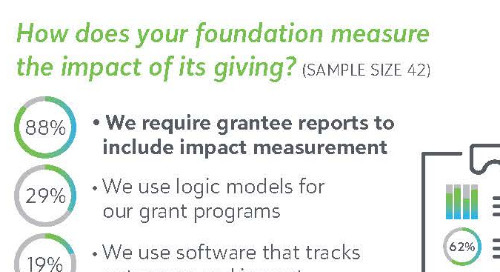 How does your foundation compare to your peers when it comes to impact measurement? 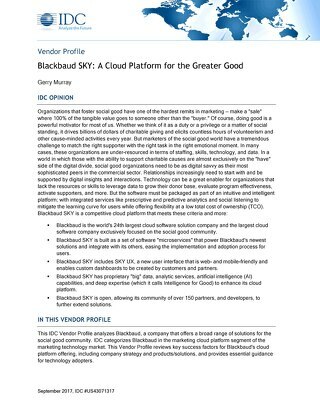 Understand the current landscape in this infographic from Blackbaud. 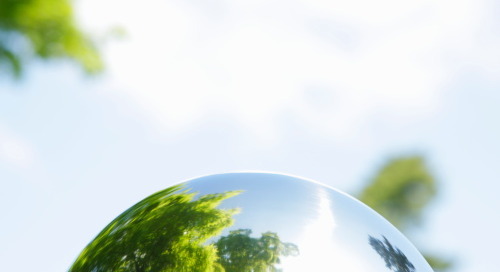 Use these three goals as an action-oriented exercise to get started measuring impact today. 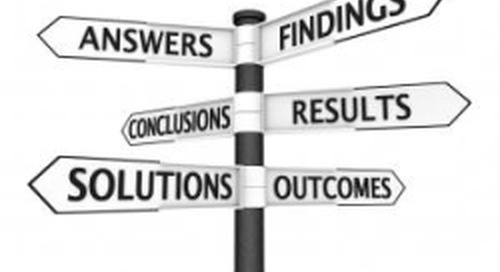 Have you built a logic model? 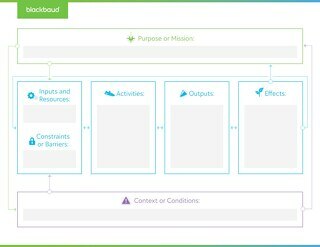 Understand the role logic models can play in your program strategy, and get started paving your way to outcomes measurement with an interactive exercise. In this episode of the Champions for Social Good Podcast, Jamie Serino speaks with Sharon D’Agostino, Founder of Say It Forward about how to empower women and girls through storytelling. In this episode of the Champions for Social Good Podcast, Jamie Serino speaks with Emily Pryor, Executive Director of Data2x about closing the gender data gap in order to empower women and girls. 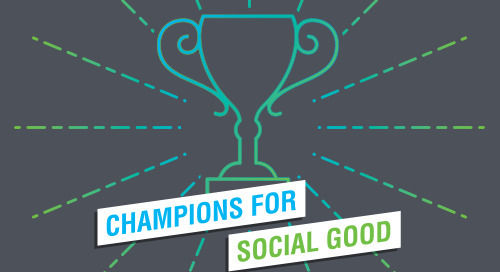 In this episode of the Champions for Social Good Podcast, Jamie Serino speaks with Henry L. Berman, CEO of Exponent Philanthropy about how philanthropists can accelerate change beyond grantmaking. 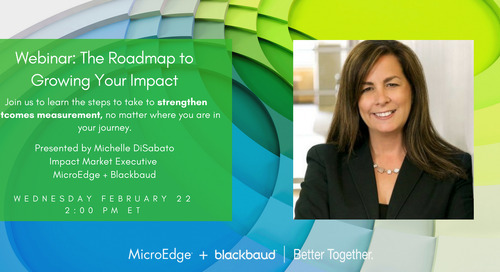 Join MicroEdge +Blackbaud in the outcomes focused webinar, "The Roadmap to Growing Your Impact," to learn the steps to take to strengthen your impact, no matter where you are in your journey! 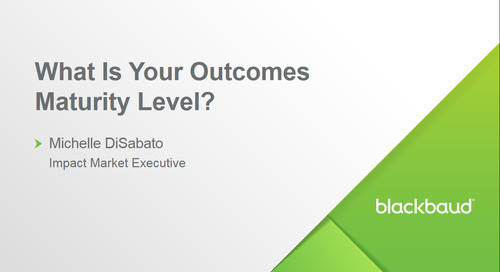 Webinar: What Is Your Outcomes Maturity Level? 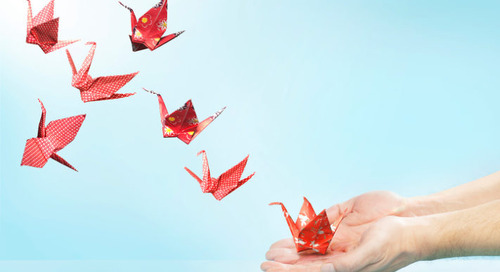 Ready to grow your organization's outcomes capacity? 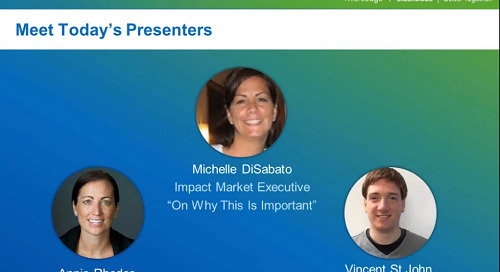 No matter where you are in your outcomes journey, view the webinar to learn essential steps to take in order to strengthen your impact. Learn about the solution that will empower you to track and measure your progress using a standardized outcomes taxonomy, while better demonstrating the social impact of your philanthropic giving. Philanthropy isn’t just on the verge of something new, we’re in it. Outcomes. Impact. Results. 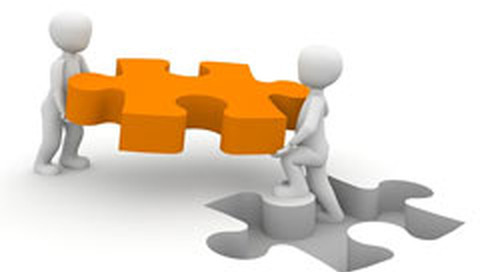 In the for-profit world, all are key to the long-term viability and health of an organization. Today, in the giving sector, we are seeing the same concepts emerge.